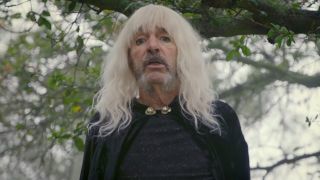 Harry Shearer, aka Spinal Tap bassist Derek Smalls, has announced he’ll release his debut solo album later this year. It’s titled Smalls Change (Meditations Upon Ageing) and will launch on April 13 via Twanky Records/BMG. His Spinal Tap bandmates David St. Hubbins and Nigel Tufnel won’t appear on the record, but it does feature a star-studded lineup of guest musicians. Those include guitar virtuosos Joe Satriani and Steve Vai, Foo Fighters drummer Taylor Hawkins, Red Hot Chili Peppers sticksman Chad Smith, Rick Wakeman, Toto’s Steve Lukather, Steely Dan’s Donald Fagen, Dweezil Zappa and Peter Framtpon. To mark the announcement, Smalls has release a video for the title track and announced that he’ll tour in support of the album, with only one date confirmed so far: April 14 at the Saenger Theater, New Orleans. Find the Smalls Change (Meditations Upon Ageing) tracklist below, which also features a list of guest artists. Metallica: Classic Rock & Metal Hammer Special Edition - out now!